The Model EP-AF Auto-Fill Valve is an automatic refill system to provide a simple method to automatically refill an evaporation pan at specified times. It consists of an electronic water timer and an automatic float valve. 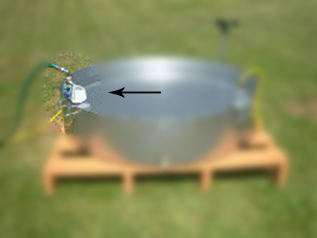 The water timer switches on at a user-specified time, allowing water from an external water source to flow into the pan. The float valve will stop the water flow at approximately 8-1/2" to 9-1/2" depending upon the water pressure. The timer then shuts off until the next programmed time.